The last bear market in stocks lost more than all the gains of the preceding bull market. Kind of silly to give all of your gains back and start over again, but this is what buy and hold is all about. Meanwhile the TSP G fund will continue plodding higher during periods of financial stress and rising interest rates. In other words, the TSP G fund will significantly outperform equity funds during bear markets. I do not advocate speculation in retirement accounts or “timing” the market in the traditional sense of jumping in or out. I also do not advocate buy and hold when the evidence builds up that the bull market is coming to an end and a bear market is commencing. It is more important for your nest egg to miss some of the gains near the top than to ride the bear market down, period. A) Since we are in one of the top three most over-valued stock markets by the measures that actually predict future returns, I can pretty much guarantee we are not anywhere near the bottom of the cycle. We are very close to the top of the market's cycle. In the chart below, I want you to note that the 2003 bear market bottom in terms of valuations was the highest bottom for any bear market in the last 60 years. A return to that level of valuation from the 2018 market peak would require greater than a 50% drop. 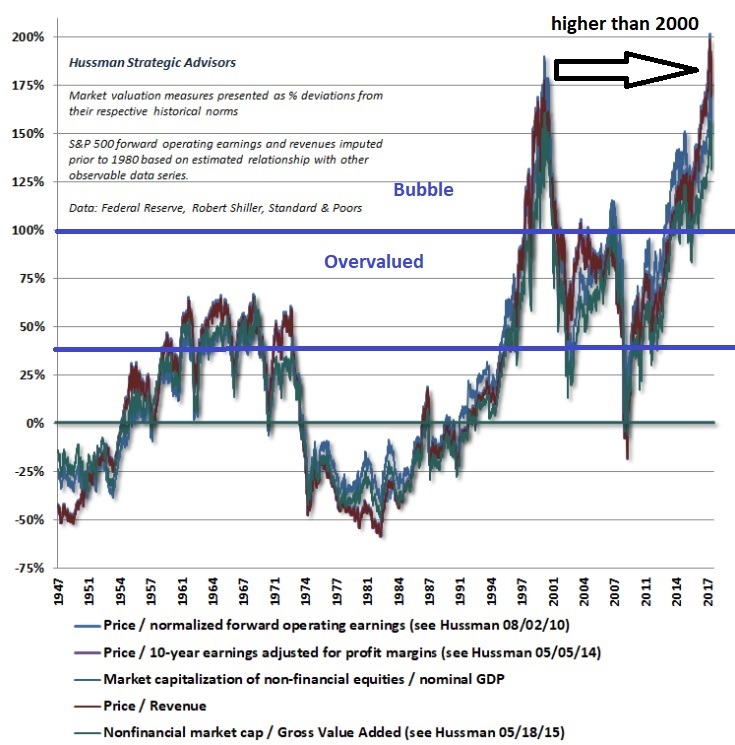 I say "valuation" because either price has to drop over 50% or profits have to climb over 100% to return to the 2003 level in terms of market valuations. In other words, you are buying high here. This is not a timing call, just a historical perspective. B) Since the primary driver of the global stock market is reversing, I expect the market to struggle in 2019. And the primary driver of this bull market was not corporate profits because profits are not much higher than they were in 2012 pre-tax cuts and most of the profit gains this market cycle were the result of lower interest expenses. The primary driver of this bull market was global central banks through financial asset purchases and forcing interest rates below inflation. This is coming to an end. Update March 2019: Since writing the above paragraph, the US central bank (the Federal Reserve) capitulated on finally ending emergency monetary policies begun 10 years ago. They are in quite a bind because the Fed is responding to the markets and the markets are responding to the Fed. Meanwhile, US corporations set a new record in buying back their own shares during the first couple of months of the year while retail investors and institutions continued to sell. I see the current investing environment as quite hostile and expect more volatility in the markets during 2019. The best funds for 2019 will continue to be a shifting mix of the TSP C fund and the TSP G fund. 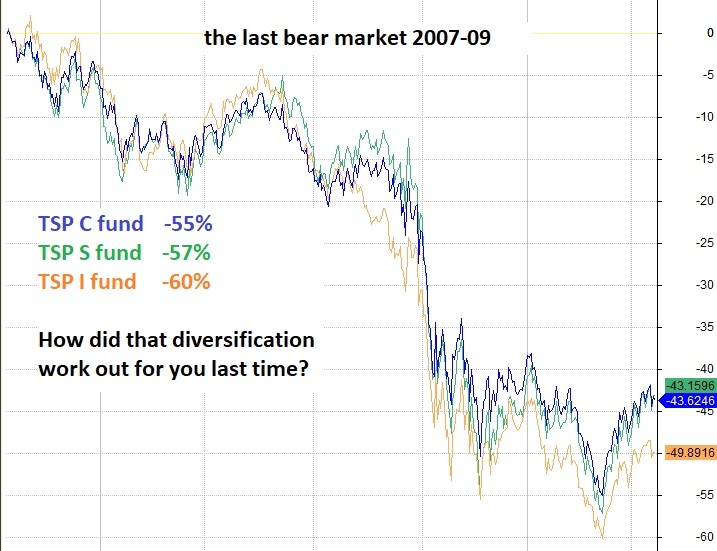 What that mix should be will change over the course of the year, but the C fund should capture similar gains of the S fund in market rallies and not lose as much during the next bear market. If you think the stock market went up the last few years because of a strong economy, read the second and third links in the text above. The stock market is a leading indicator of recessions and not the other way around. The stock market is going to take hit because of the "good" economy and rising wages. The market will struggle from rising interest rates when the budget deficit explodes higher in 2019-20. Once the "good" economy rolls over, market sentiment will send the stock market down along with corporate profits. The historic record levels of corporation debt will inhibit corporations from buying back their own stock to support these unsustainable prices in 2019. We have found the difference between a market correction and the start of a bear market can be seen by the actions (not words) of the most risk-sensitive investors and whether they are holding onto risk assets or selling when the stock market rallies after a pullback. Their continued selling usually leads major stock markets sell-offs... unlike reported corporate profits, the economy, wall street analyst, etc. In my conversations I have found many investors who were burned badly during the last two bear markets and remained reluctant to re-invest until very late in the bull market. This is very understandable but also leads to frustration in extended bull markets like the one we've been in. Investment decisions require knowing both when to get in and when to get out. I am not talking about cherry-picking the top or bottom, but simply being close. Market tops always happen when the news is most positive and bottoms happen when the end of the world is around the corner. So do not let headlines determine your allocations. Remember not everyone can get out at the top. Tops form when the smart investors start heading to the exits before the masses do. And this happens when the headlines are most positive. We reduced exposure near the top in the early 2018 parabolic move, but the market was not indicating a bear market at that time. We are watching our long term signals that lead the stock market and provide insight if a move is a correction or something more. We are also watching the long term trend of the market as seen on the chart below in blue lines? I hope you bookmark our free blog or sign up for our blog posts via e-mail at our blog's website. I hope you become a TSP Smart Investor. 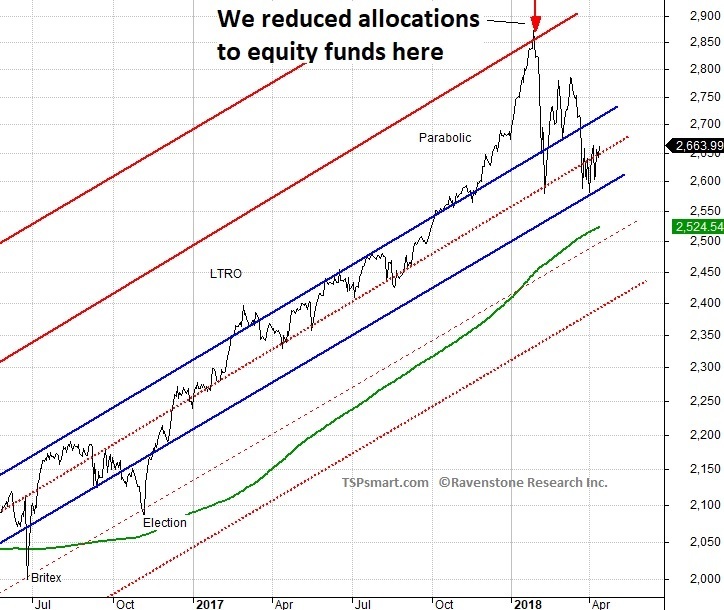 If you want to receive our e-mail warnings like the one represented by the red arrow we sent to members to reduce allocations to equities, please join us. We don't spam, the last warning we sent prior to the early 2018 warning was just prior to the 2015 market correction. We are not a market chasing timing service. We are a bear-market-avoiding service along with providing a simple-to-execute seasonal strategy that has beaten buy & hold annualized by several percentage for the last 60 years. I haven't talked about this strategy, but I provide links at the bottom of the page. I have a different point-of-view on this subject. 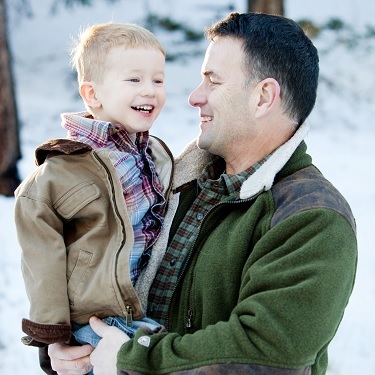 I started my service in 2011 because I felt no one was looking out for the average TSP investor. What the buy and hold types fail to mention is that it took 13 years for the market to break even after the 2000 market top. They also fail to mention that Japan's market topped in 1989 and they are still waiting for a new high 30 years later! 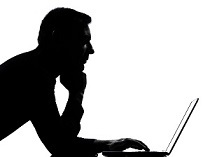 I monitor the market for serious and reluctant investors so they can spend their time doing what they really enjoy in life and that is usually not watching the financial markets. And remember, long before there was fake news, there was financial news. 2) An easy-to-execute strategy from my best practices research to avoid losses while capturing most of the market gains. And serious investors should take a look at our TSP trading day almanacs to add to their investor tool kit. When most investors retire, allocations need to shift to low-risk funds for income production. For this reason above all others, please do not leave TSP when you retire! I am probably one of the few advisers who recommends considering moving your other retirement account funds to TSP to take advantage of the G fund in retirement (along with the low fees). Yes you can do this. Can you imagine your broker or bank telling you to pull money out of their account and send it to your TSP account where they lose fees. Commission-based financial planners are likely to talk you into moving your funds to their accounts and products so they can manage them for you to make your life easier. It is not just the advisers fee that will cost you, it is the loss of interest income in retirement by not having access to the TSP G fund when you need to be in low-risk investments. Please don't move your funds. You can do fine managing your own account. If you do move transfer your funds out of TSP, consider keeping $100 in your account to keep your account open to allow you to change your mind later. Our basic rate is only $75 annually which is less than 1% of $10,000 account. Compare this to the last two bear market which cost the stock market over 50%. here are some of those links I mentioned. After earning my degree in Investment Finance, I joined the US Air Force and thus became a TSP account holder. I never gave up interest in finance and continued to study the markets while serving. I discovered I had to do some unlearning from what I "learned" in my financial planning courses. Through my website and blog I share what I've learned. I spent years researching the best strategy for the TSP funds. I wanted a strategy that was easy to execute and did not ride the bear markets down. I almost gave up then found Sy Harding's strategy which only required two trades a year and was rare in that it beat buy and hold over the long haul. Mark Hulbert of the Financial Digest fame tracked Sy's record and often wrote about him on Market Watch. Sy invested in the Dow Jones Industrial Averages. I simply optimized Sy's seasonal strategy to fit our TSP funds. I also developed my own TSP almanacs which break down the annual patterns of the markets to the trading day of the year. On my website you will find a more in-depth breakdown than the Thrift Savings Plan's own website for each fund (to include the Lifecycle funds) to better understand what is driving their returns. It all helps in determining the best TSP allocation. I started my company in 2011 and my service in 2012. I hope you have some time to look around the site - it is designed for you. And did I mention you can also sign up for my free blog.